We have fun events for members of all ages through the summer! 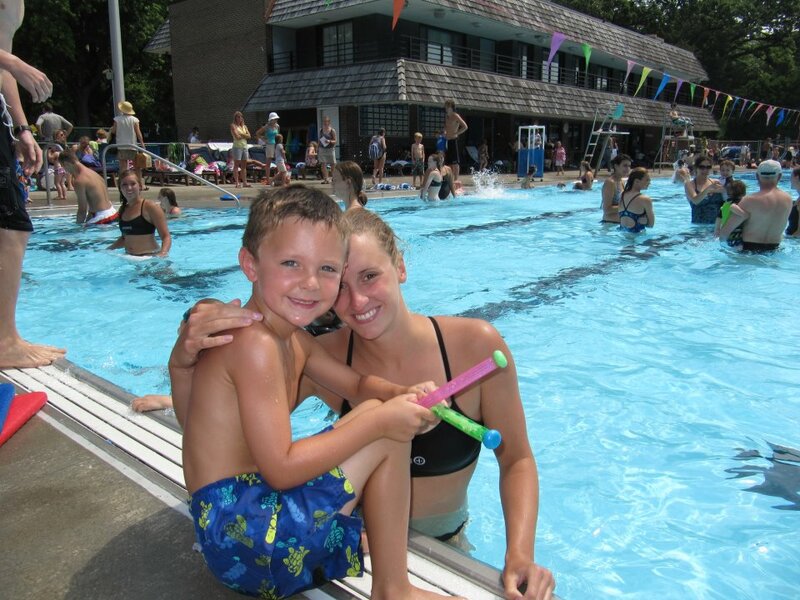 Shorewood Hills Pool is a 50-Meter, 10 lane outdoor facility, and is the only Olympic size outdoor pool in the area. We also feature an additional wading pool with child-friendly water features, a fully-stocked concession area, and full locker room facilities with showers. The pool has a diving well incorporated into the deep end with two 1-meter diving boards available for use. We offer seasonal memberships that are open to both Shorewood Hills Village residents, as well as those from around the Madison area. The season generally extends from Memorial Day weekend through Labor Day. A typical day at the pool will incorporate numerous open swim times as well as organized programs that include swim and dive lessons, swim and dive teams, water ballet, water aerobics, and master’s swimming. We strive to support all activities at the pool from simply relaxing in the water on a hot summer day, to competitive swimming, and everything else in-between. We look forward to seeing you on deck! There is a lot of history behind the pool both at Shorewood and throughout Madison. 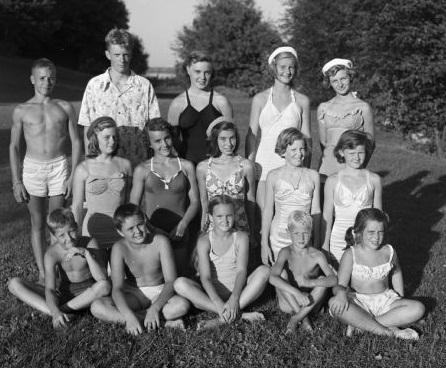 This is a picture, circa 1949, of the 15 members of the Shorewood Beach swim team, winners of the team championship at the Madison City Swim held at B. B. Clark Beach. Photo courtesy of the Wisconsin Historical Society.